After growing up in San Antonio, Richard Carr graduated from Texas Christian University with a Bachelor's degree in all-level, K-12 Vocal Music Education. He has also completed over 20 hours towards a Vocal Performance Masters degree at the University of North Texas. He has 27 years of experience in music education and performance, in addition to 7 years performing with the Fort Worth Opera and 3 years as a children's music associate in his home church. He has also been teaching for over 27 years as a music educator in Birdville ISD. Richard accepted Christ as his Savior at age 22 and has been an active member of North Richland Hills Baptist Church for over 25 years. He and his wife, Mary, have been married for over 23 years and they have enjoyed homeschooling their four children for the last 12 years. Richard is very excited about this adventure in teaching homeschooled students about music and the art of singing. Ever since I was in middle school, I have wanted to be a choir director. My music degree at TCU primarily prepared me to teach middle school and high school choirs. 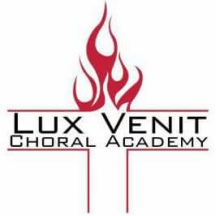 I enjoy teaching children, young men, and young women, how to sing and introducing them to great choral literature from a Christian homeschool Dad's perspective. We have known Richard Carr for nearly twenty years – first as a teacher in the public schools and now as a den leader in the Cub Scouts. We have always known him to be a man of integrity with solid Christian values. We trust him completely and appreciate his structured approach to teaching children. Our son has been in Richard’s Cub Scout den for three years and has thoroughly enjoyed it and has benefited greatly from Richard’s leadership. Two of our sons have taken a music class in Richard’s home where they learned some valuable music skills and enjoyed it very much. I have known and worked with Richard for over 18 years. Richard has all of the hallmarks of a great music teacher: kind, fair, hard working, knowledgeable and a God given gift for music. My daughter Paige attended one of Richard’s summer music workshops and learned SO much in those few short weeks! Paige had a blast with him and still remembers how to play Hot Cross Buns on her little yellow recorder! My daughter loved Mr. Carr's music class! When it was over, she kept asking if she could go all year! Music is so hard for my husband and me to teach. I have no musical talent and my husband doesn't know how to easily bring his down to an elementary level! We recommend these classes! If I could make algebra as fun as Richard makes music for kids, then I'd really have something!! Richard faithfully served as the den leader for our Cub Scout pack for many years. One year his den of nine and ten year olds had 18 members and Richard did a great job with all of them. I was impressed with Richard’s heart for these young scouts and the enthusiasm he had for the responsibility for which he had he volunteered. As the Cubmaster and realizing the challenges of leading and teaching a group of energetic and loud boys, we were visiting one evening about how the den was doing and how he was doing. Richard’s heartfelt answer is forever etched in my mind as he told me, “Tuesday nights are the best night of my week!” In one simple statement, Richard conveyed that he was all about the scouts and his care and concern for each one of them and, while there were challenges, he had it under control. As Cubmaster and as a dad, I knew Richard was the right man in the right place at the right time. Carla has her Bachelor of Fine Arts in Music Education K-12 and a Master of Music in Piano Performance from the University of New Mexico. Carla has taught music and piano for over 25 years and has also led worship for church events since 1993. She and her husband, Mark, have homeschooled both of their children through graduation and live to bring glory to their Lord, Jesus Christ. Susie Fergus is a lifelong music educator specializing in children's choirs in both school and church settings. Over the course of over 17 years, she has conducted youth and children's choirs in Colleyville (Covenant Christian Academy), Cleburne (Children's Community Chorus of Johnson County), Fort Worth (TAFA), Bedford (St. Vincent's School), and Granbury (SHAPE Academy). Ms. Fergus earned a master's degree in Music Education with a choral emphasis from University of St. Thomas (MN) and a bachelor's degree in Music Education from Auburn University (War Eagle!). She is also a Kodaly specialist and trains music educators in solfege, conducting, pedagogy, and ensemble singing with school districts in the Houston area. She is a member of OAKE and TMEA. Ms. Fergus's personal mission is to help children fall in love with music for a lifetime.